The Foursquare Church recently tapped Radar to help produce the Foursquare Live! event. With only three weeks notice, Radar helped TFC coordinate the lighting and live video elements for a live concert event on March 12th in Eagle Rock. The April 5th event was a combination of pre-taped concert footage from the 12th, and a 4-camera live studio portion that was broadcast to more than 200 churches nationwide in both English and Spanish. 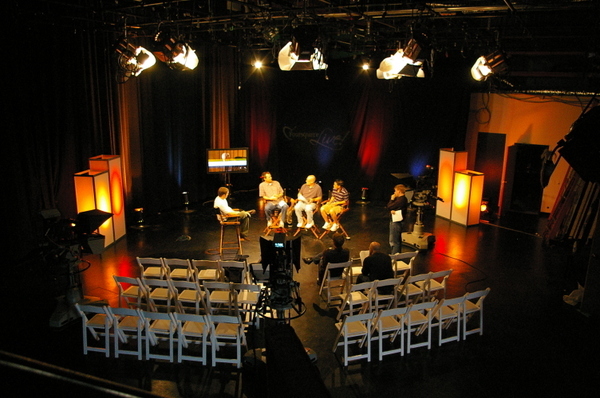 The 5-hour satellite event was transmitted live from HD Vision Broadcast Center in Studio City with the help of CCN and PACSAT. Radar directed the simulcast with Derek Williams and Drew Lucas served as co-producer and stage manager respectively.